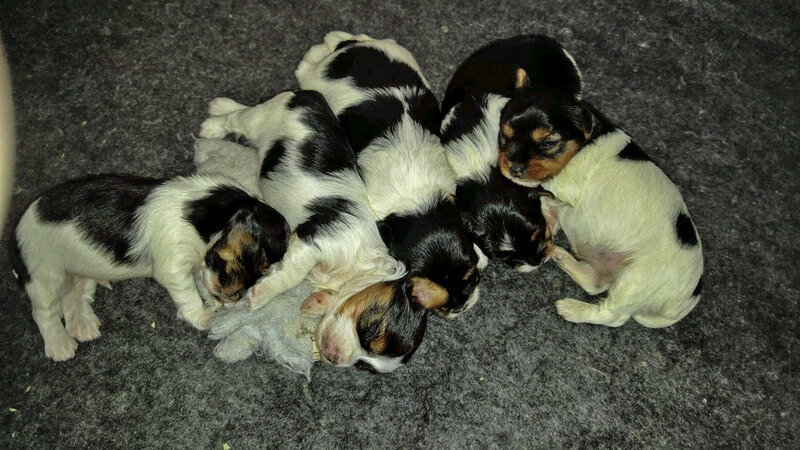 4 girls and a boy – Biewer Terriers – join the spring puppies at Havs de Grace. Home raised and beautiful! Havs de Grace has 4 male and 1 female Biewer Terrier pups available for their Forever Families. Call Debbie today! 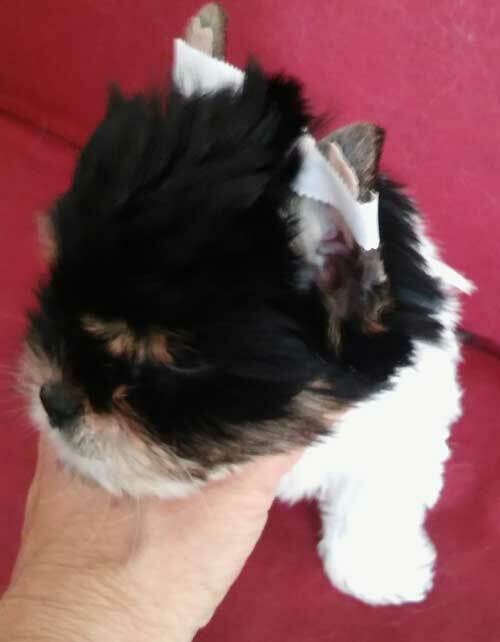 Havs of Havre de Grace have added Biewer Terriers to their line of puppies. This amazing new breed offers much of the same personality as the Havanese. We love both and know that you will, too. Give Debbie a call for the latest news on our puppies. 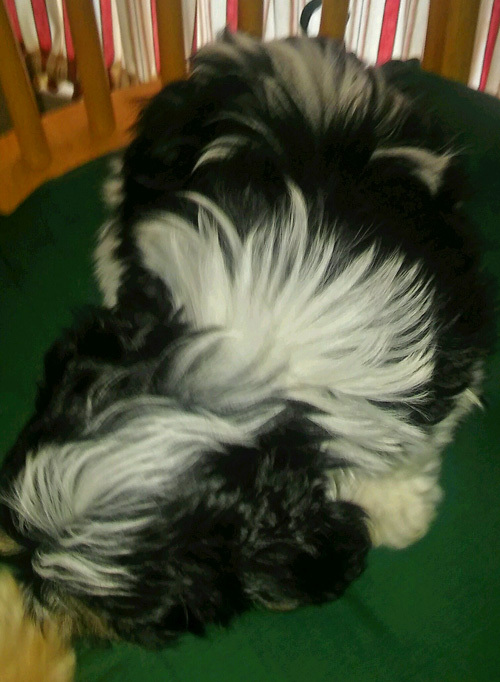 Our wonderful Havanese lady, Leggand, gives us very fine puppies. These two little girls are just so much fun. Full of fluff and flurry, they’ll fill your heart with much love and giggles. They are now available. How can you resist that wonderful face… or this beautiful soft fur. 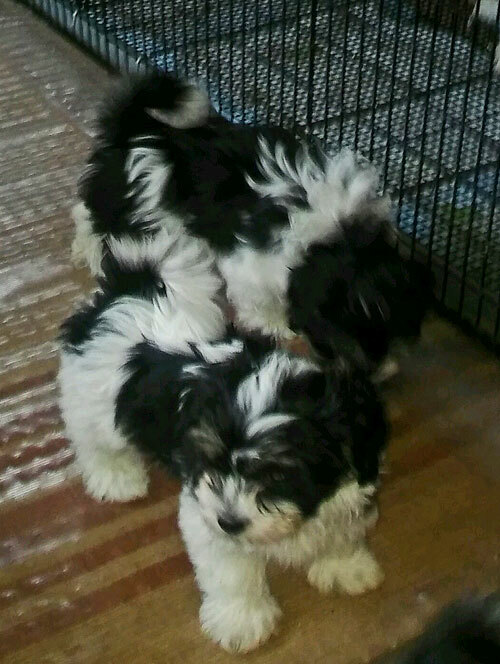 Give Deb a call ASAP if you’re interested in either – or both – of these delightful Havanese female puppies. 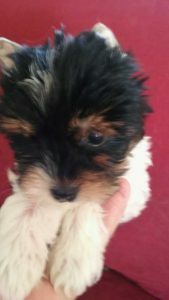 We had 4 Biewer Terrier pups and there is only one left – a handsome, male puppy. This is what they looked like at 3 weeks in early April. There were two boys and two girls. Again, we have one little guy waiting for the perfect Forever Family! His name is Bonner! March-April-May were busy months with a Havanese liter, a mixed Havanese-Biewer Terrier liter, and the Biewer Terrier liter. So once this little guy finds his home, Debbie will have a summer break. Contact Debbie ASAP . Once you see him, you’ll definitely want to take Bonner home. 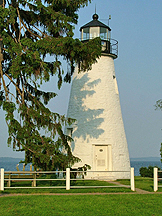 Pastor Ed Heydt Remembered ! LEONNA was a just a pup two years ago. 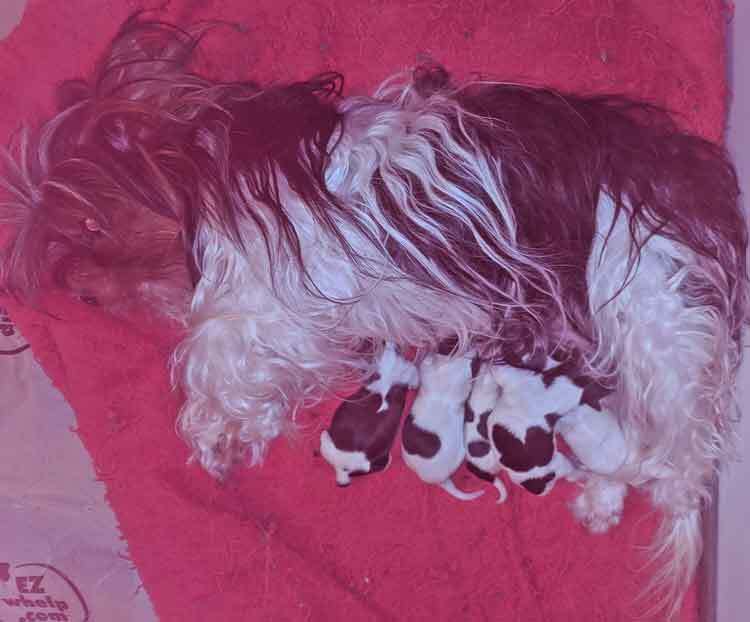 Today she surprised us with two beautifully healthy Havanese puppies born yesterday morning (April 29, 2017). Looks like a white puppy and a brindle. But it is a weeeeeeeee bit early to determine. We’ll get some photos posted soon. But yes, they are pure Havanese – two little girls. 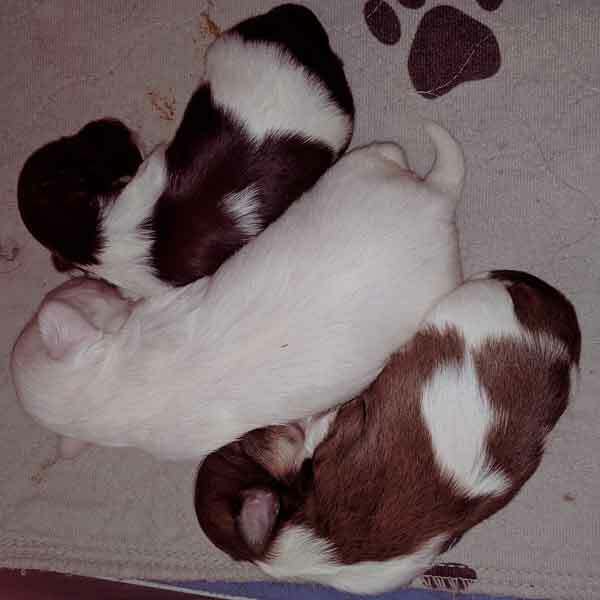 Our mixed puppies- Havanese and Biewer Terrier – born on March 5th have all been spoken for. We do have pure Biewer Terriers – by Fionna and Leggand – available to forever families around June 12th. There are 2 boys and 3 girls. Please call ASAP if you’re interested. We’ll be keeping you posted. As you know, it’s been a busy spring with puppies. Biewer Terriers are one of the newest breeds in America. AKC is following them. But the UKC has been having shows for them. They’re a beautiful breed and love people. Here’s the latest peek at the beautiful 3-week old pups by Fionna and Chandler. Are these 2 little girls and 3 boys not the cutest. I love ’em when they’re little plump puppies 🙂 They’ll be available to go to their Forever Families around June 12th. Give Deb a call if you’re interested in making one of these little ones a part of your family! 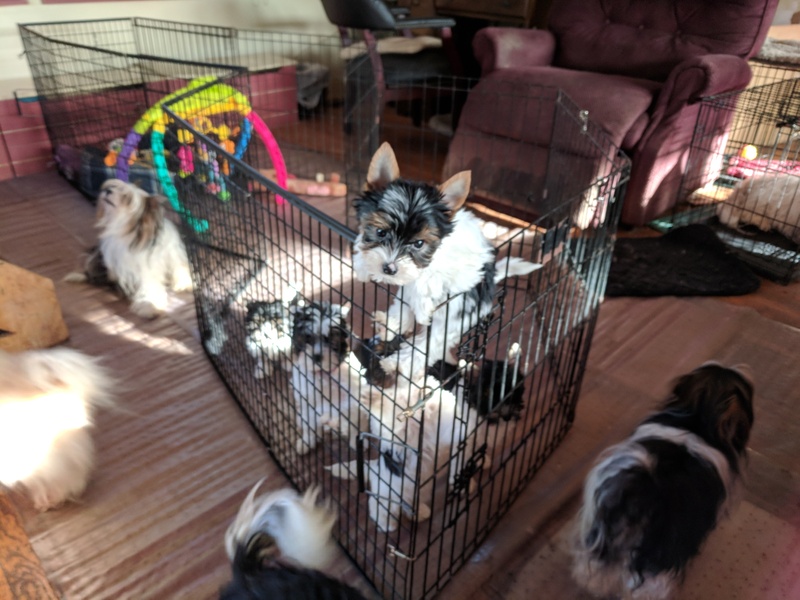 AND…5 Biewer Terriers pups born 3/26/2019! 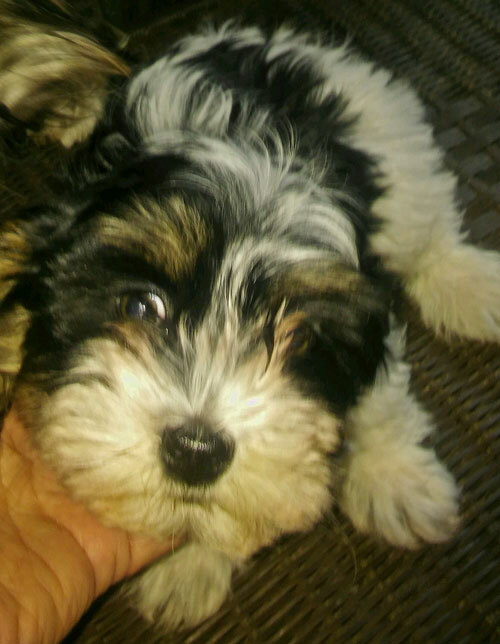 We have a busy APRIL coming up with more Biewer Terrier pups expected and also Havanese. Keep checking back and follow our FB page. We thank everyone for their support and loving care of the puppies they have purchased from us. We really love that the new Forever Families stay in touch.